Visitors’s opinions on the skylines and modern urban architectures. Most of people lives in cities, experiencing architecture spaces everyday. Design is closely related to everyone, and listening to people from other industries also enables us to expand our understanding about design, architecture, urban environment and the whole world. Our team visited the Jingshan Park in Beijing lately. We interviewed visitors from different backgrounds and different ages, and heard their talk about their opinions on the skylines and modern urban architectures. The interview shows that people who enjoyed modern architecture and traditional architecture both take up half of the sample. 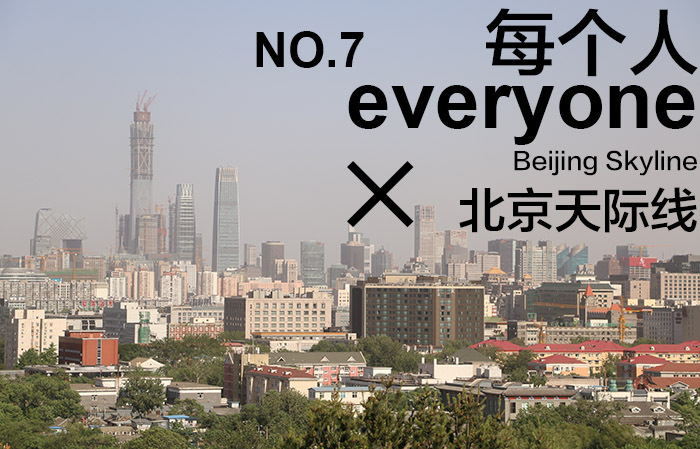 As for the topic about which city has the best skyline, Beijing barely won one vote. Some interviewee mentioned about the abundance of greenery in Beijing within the sight. Indeed, it is true seeing from where the visitors located. However, that does not mean that the environment in Beijing is better now. In fact, Beijing had suffered severe smog issue during last month – May. The period that the air quality was considered as decent takes up less then one third amount of time within that month. In order to have an appropriate timing for casting this interview, our team had been waiting for several days. Eventually, we found a decent window for casting when both the air quality and the wind-blowing condition are acceptable. When smog happened, it is almost impossible to see the skyline. Perhaps before we talk about the beauty of cities, the first thing to consider is how to achieve a harmonious and pleasing natural environment.